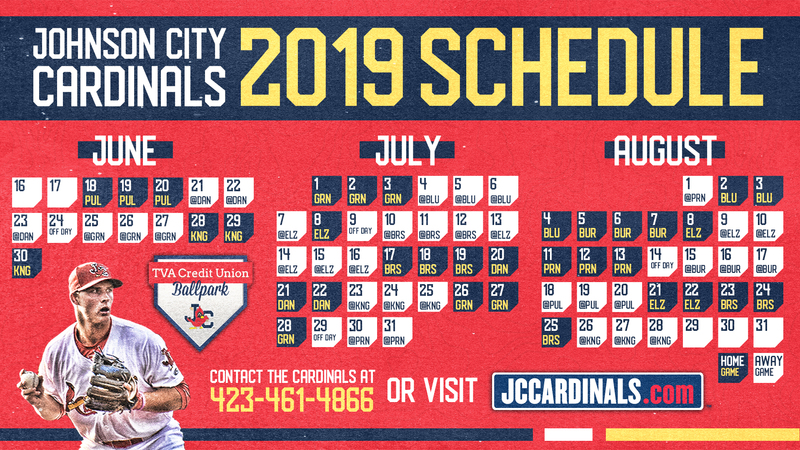 JOHNSON CITY- In conjunction with the Appalachian League, the Johnson City Cardinals have announced the schedule for the 2019 campaign. The Johnson City Cardinals kick off the season at TVA Credit Union Ballpark on Tuesday, June 18th against the Pulaski Yankees. The 2019 schedule can be viewed by clicking here. Game times and promotions for the 2019 season will be released at a later date.